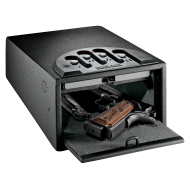 The GunVault MicroVault (MV500 or sometimes GVMV500) electronic pistol safe is compact, lightweight, and portable.This model, the MV500-STD, has No-Eyes keypad technology which helps you easily access the microvault even in the dark. 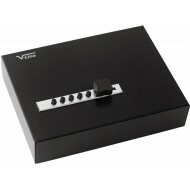 You just push a button to open the MicroVault pistol safe. 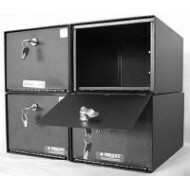 The vault is constructed with 16-heavy gauge steel for enhanced strength and durability. 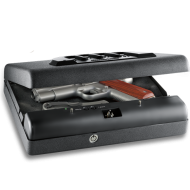 The interior portion includes a soft foam lining that cushions your gun. 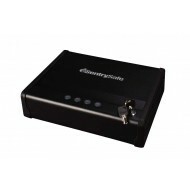 The GunVault MV500- STD Microvault Pistol Gun Safe is provided with a four-foot security cable for added protection. 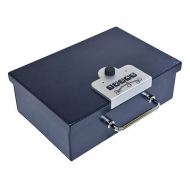 This inexpensive spring-door powered pistol safe is perfect for your vehicle, car, or RV. 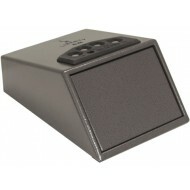 With its unique no-eyes touch keypad, this safe provides you with quick and secure access. Set your own security code easily. 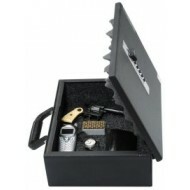 This pistol safe is powered by one 9 Volt battery. 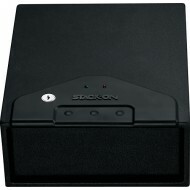 The electronic lock pulls very little charge and batteries should last however should the battery fail a high security key is provided. 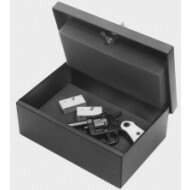 This GunVault pistol safe comes prepared to be bolted down or secured with a cable (optional).